LINCOLN, Neb. 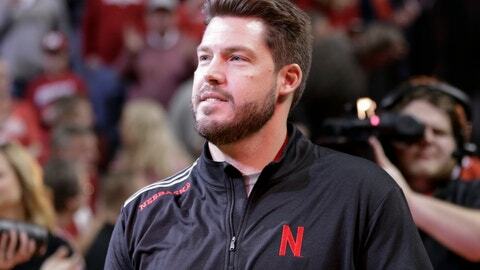 (AP) — Erik Chinander turned around a bad defense his first year at Central Florida, and he’s confident he can do the same as Nebraska’s new defensive coordinator. The Cornhuskers allowed 54 or more points in four of their last six games during a 4-8 season and ranked in the 100s nationally in three of the four major defensive categories. Chinander watched video of last year’s games shortly after Scott Frost and his staff were hired, and he said the collapse the second half of the season wasn’t caused by a lack of talent. The Huskers will continue to play in a 3-4 base alignment, but it will be noticeably different. Chinander’s system, compared with former coordinator Bob Diaco’s, places greater value on aggressiveness, especially when it comes to linemen pressuring the quarterback and getting after ball-carriers. That’s not the biggest difference, Chinander said. A sign of progress, Chinander said, is that the six returning defensive starters are being pushed hard by newcomers and 2017 backups. Some of the keenest competition involves the defensive backs. Secondary coach Travis Fisher awards points for interceptions, pass breakups, fumble recoveries and other big plays. Standings are posted daily in the meeting room. The leader through four practices is freshman cornerback Cam Taylor, with junior cornerback Lamar Jackson in second place. The secondary was a major concern coming out of spring. Safety Aaron Williams is the most experienced player, with 22 career starts, but he was limited to nine games because of injuries last season and remains limited because of offseason shoulder surgery. The emergence of Taylor and the arrival of two junior-college transfers and graduate transfer safety Tre Neal (UCF) has made the secondary much deeper than in the spring. Three-year starter Freedom Akinmoladun and two-year starters Mick Stoltenberg and Carlos Davis are back on the defensive line, and a linebacker corps led by Dedrick Young II has been beefed up by junior-college All-American Will Honas and Mississippi transfer Breon Dixon. Chinander has gone through a major rebuild before. Frost and his staff took over a UCF program that was winless in 2015, and Chinander inherited a unit that ranked 113th in total defense and 117th in scoring defense. In 2016, UCF allowed 13 fewer points and 94 fewer yards per game and moved up 74 spots to 39th in total defense and 75 rungs to 42nd in scoring defense. The Golden Knights’ overall defensive numbers weren’t as impressive during last year’s 13-0 season, but they were second in turnover margin. A caveat: Frost’s no-huddle spread-option offense means Chinander’s defense must spend more time on the field. Last year, only nine teams averaged more defensive snaps than UCF’s 74.5 per game. As for last season, well, that was last season.